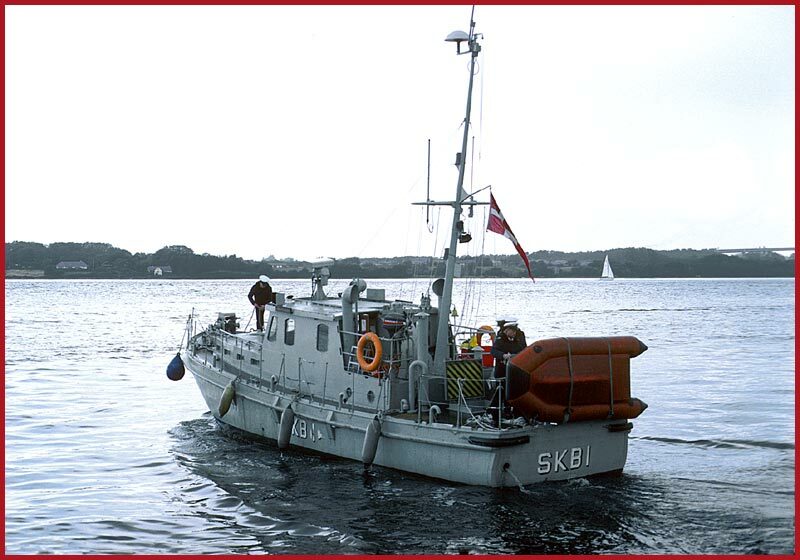 In the following I will show pictures of the old Greenland SKA survey boats in their new role as SKB training boats. 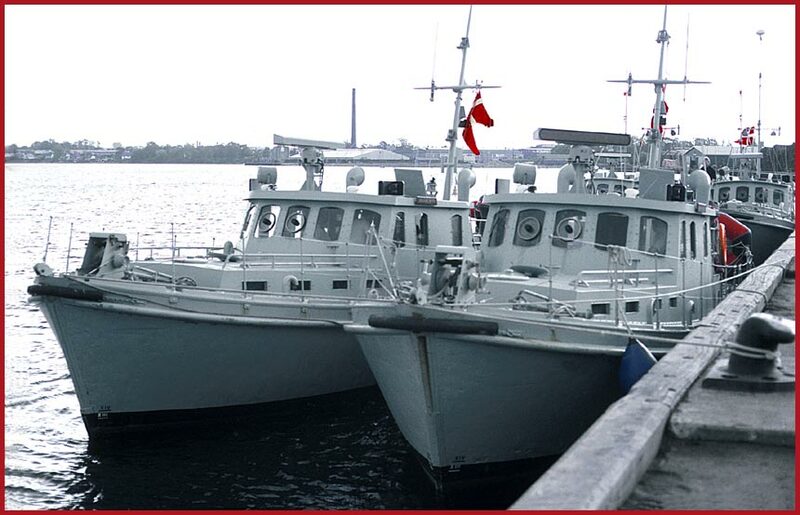 Also I will show pictures of the sister ships that were not used in Greenland, - SKA 7 and SKA 8 -, which in their new role as training ships for the navy became SKB 3 "Gulspurven" and SKB 4 "Jernspurven". Please take note of the colour change from the strong orange red used in Greenland to neutral navy gray. 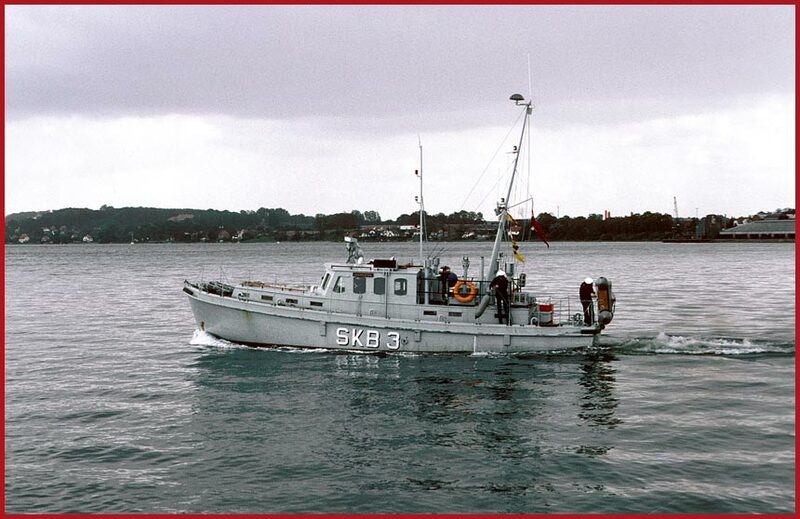 8 units built as survey launches 1958 - 1968, - 27 tons standard. 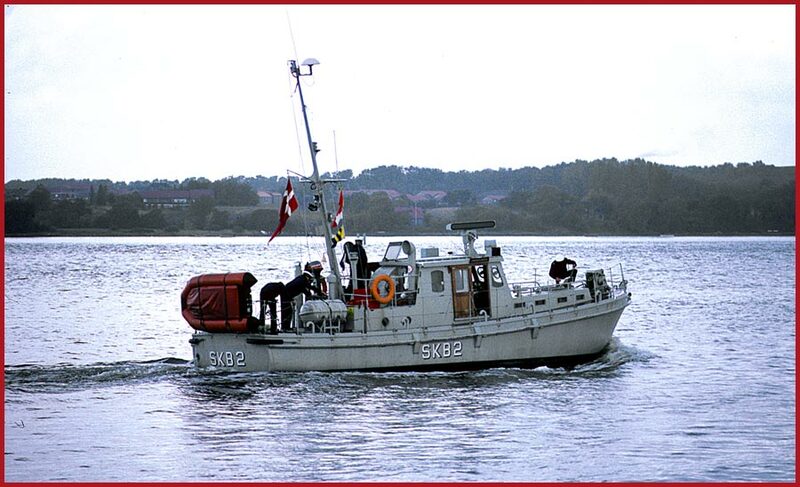 Main engine: A six cylinder Volvo MD96B diesel engine of 110 bhp. 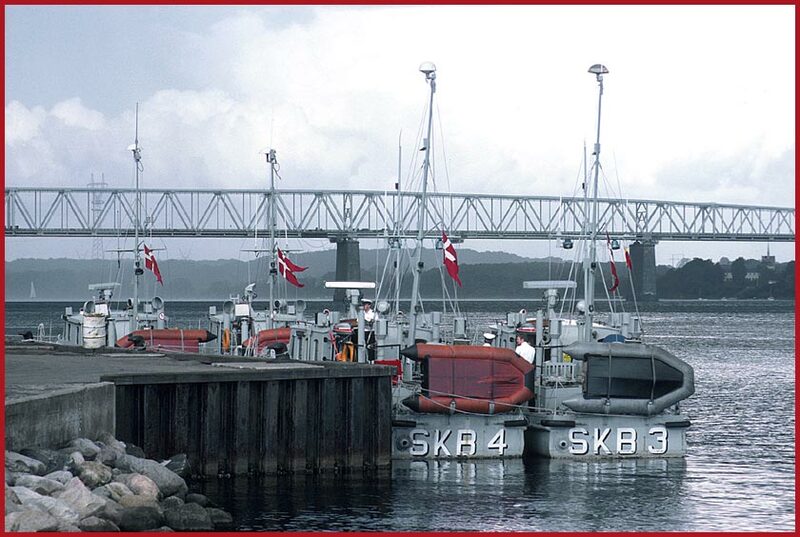 SKB 1 "Gråspurven" and SKB 2 "Snespurven"
Left SKB 2 "Snespurven" and right SKB 1 "Gråspurven" in Middelfart. 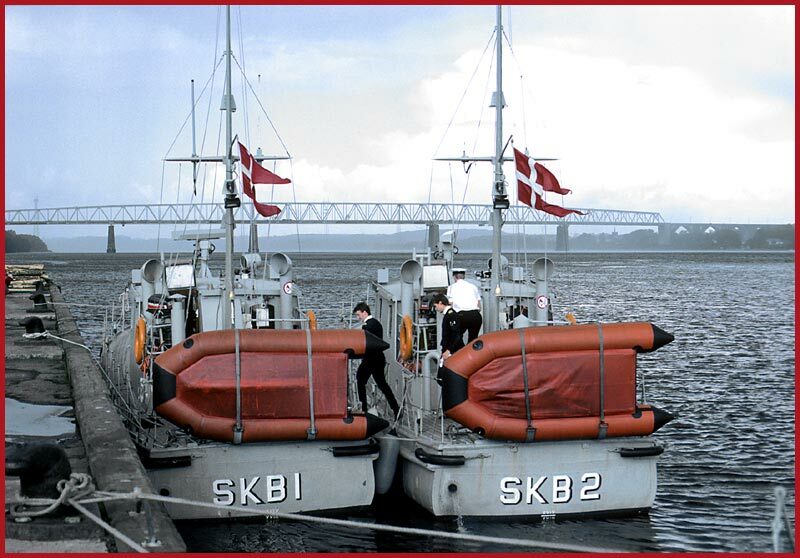 Behind is SKB 3 "Gulspurven" and SKB 4 "Jernspurven". 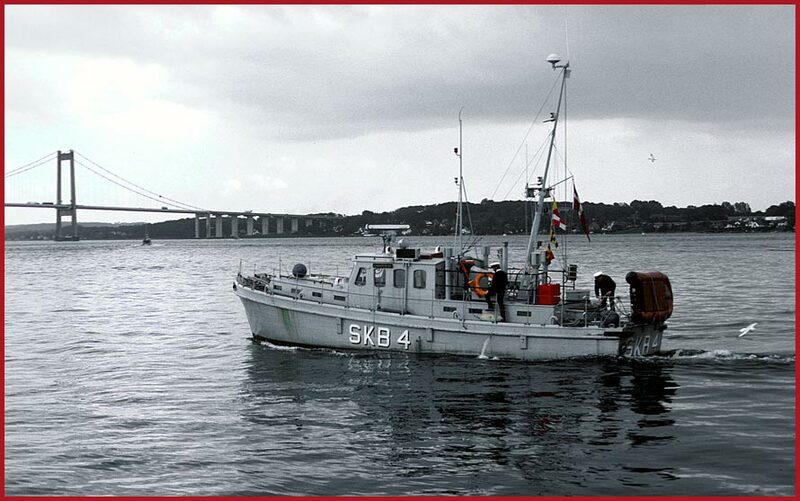 SKB 4 "Jernspurven" and SKB 3 "Guldspurven" - Ex. 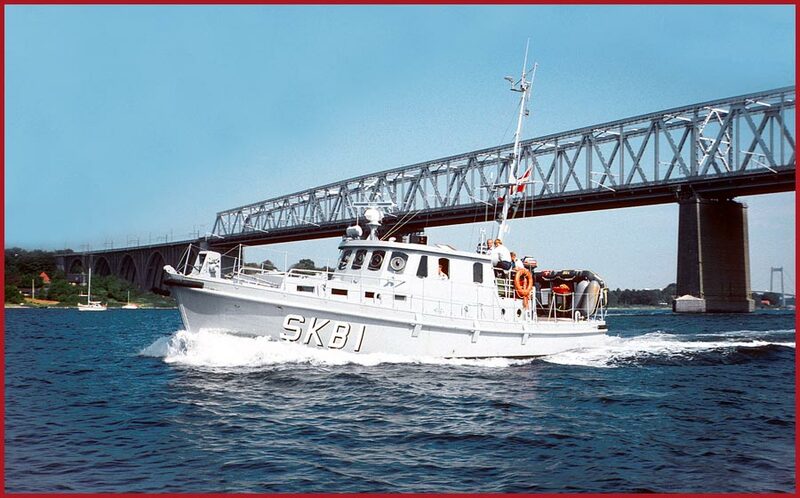 SKA 8 and SKA 7.